Our group moves to University of Cologne today! The ParCo website at KIT will remain accessible for some time, but will no longer be updated. Next (and possibly last) oral exam dates announced. Our journal paper on computing convex cuts (authors: Glantz and Meyerhenke) has been accepted by TCS! The research group will leave KIT in the fall of 2017 since Henning Meyerhenke has accepted an offer from the University of Cologne for a full professor (W3) position. Our conference paper on 3D biomolecule reconstruction via graph drawing (authors: Wegner, Taubert, Schug, Meyerhenke) has been accepted by ESA! Michael Wegner's Master thesis on 3D biomolecule reconstruction via graph drawing has been selected as our department's best application-oriented Master thesis of this academic year. Congratulations, Michael! A warm welcome to our new group member Eugenio Angriman! Our guest Florian Leibert (CEO of Mesosphere) gives a talk at 2:30pm on his experience in Silicon Valley! Our conference paper on computing betweenness centrality in dynamic networks (authors: Bergamini, Meyerhenke, Ortmann, Slobbe) has been accepted by SEA! Our journal paper on multilevel maxent-stress graph drawing (authors: Meyerhenke, Nöllenburg, Schulz) has been accepted by IEEE TVCG! Our renewal project proposal FINCA within the SPP Algorithms for Big Data (second phase) has been approved by DFG. Our workshop paper on parallel subgraph enumeration (authors: Kimmig, Meyerhenke, Strash) has been accepted by PDCO (co-located with IPDPS)! Our journal paper on parallel complex network partitioning (authors: Meyerhenke, Sanders, Schulz) has been accepted by IEEE TPDS! 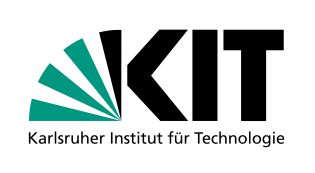 Our Dagstuhl seminar proposal "High-performance graph algorithms" has been accepted. The seminar will take place in June 2018.